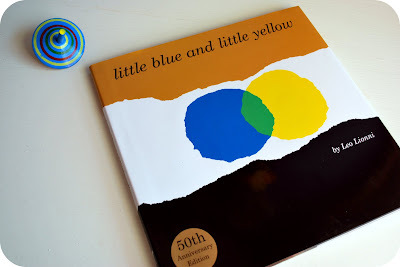 Leo Lionni is one of my absolute favorite authors of children's books--and this book, Little Blue and Little Yellow, is my favorite of his books. But I have this thing about stories that involve abstract shapes as their main characters ( you too? you should read about Little Smudge then...). 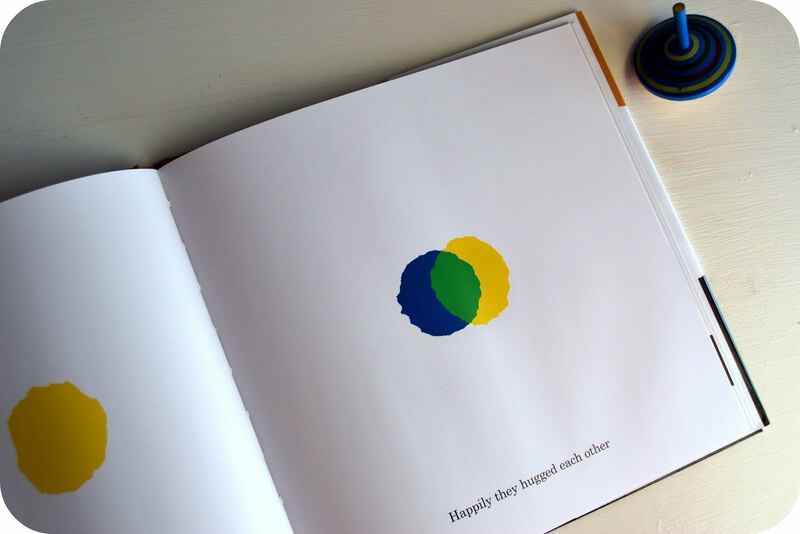 The story is about our two heros--who just happen to be ragged edged circles in blue and yellow--and follows them through a colorful afternoon of simple, but beautifully illustrated games, and then their surprise afternoon when they hug and find themselves merged into an all new color...and the confusion that ensues from there. 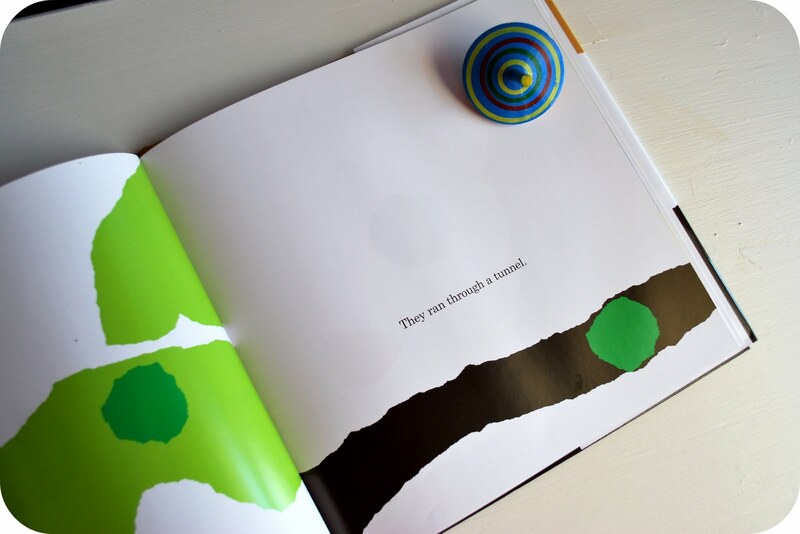 Apparently, Leo Lionni conceived this book when he was with his grandkids on a train and they were making a bit too much mischief, so he created a story right then and there with what he had--a magazine. He tore some ads into pieces and began to tell them them this story about little blue and little yellow...and this classic was born. Just goes to show you what we all know, the best things come from some of the simplest means--and also, necessity is the mother of invention...any other cliche's I should be hitting on here? Whatever the case, go find a copy of this at your library if you have not read it before--I promise you will enjoy it. I love this story and read it to my class each year. Thanks for sharing about this book and the story behind the story! One of my favorites.. and my daughters favorites as well. I'm going to have to see it my local library has this book... it looks great! We love it, too! Tico and the Golden Wings is another favorite by the same author. Thanks, It looks great, I checked and its at my local library so Im goign to check it out! 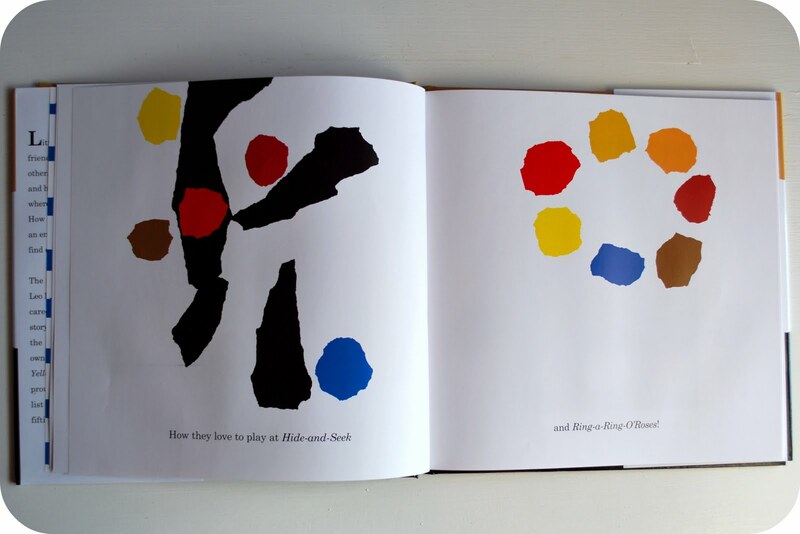 I'm an elementary art teacher and this book would be perfect to use with my kids. I am adding it to my wish list for the fall. I've used some of his other books before, but didn't know about this one. Thanks for sharing! I am sooo excited! They have this at our library. Thanks for the recommendation!